Born in Pine Bluff, Arkansas, Robert Sherman received his Bachelor of Fine Arts degree at The San Francisco Art Institute. He then earned a Master of Arts from San Francisco State University, where he remained for several years as an instructor in sculpture. In time, he left San Francisco to paint exclusively. California's Mendocino County became his home for eight years, with one year off for a world tour, most of which was spent painting all throughout Asia. He later spent many years living, painting, and exhibiting in London. 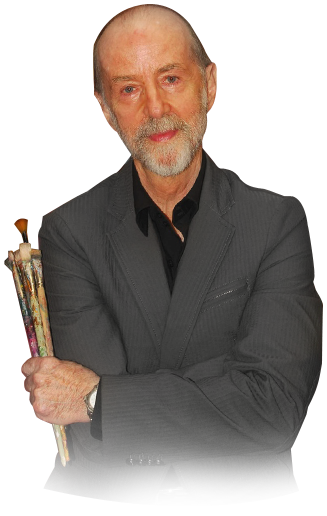 Robert now lives in the international art community of Cuenca, Eucador, where he has opened a new gallery.